1400 John R. Lynch St.
All students admitted to Jackson State University are required to submit proof of having received two immunization shots for measles, mumps, and rubella (MMR) in order to complete registration for classes. If an applicant has already been admitted and plans to attend the University as a first time student (undergraduate, graduate or transfer), he/she must submit a copy of the required immunization record to the University Health Center prior to registration for courses. Students who have been admitted but do not submit the required immunization verification will be unable to complete registration for classes in the school’s computer enrollment system. 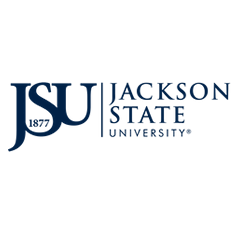 Applicants can also download and print the JSU Compliance Form and have their healthcare provider complete and sign it or use the Mississippi Form 121 or their own state’s standard compliance form. IN PERSON: Immunization documents may be dropped off to the University Health Center located on Prentiss Street near the Prentiss Street entrance (FLAT TOP ONE STORY BUILDING WITH BLUE TRIM AROUND THE TOP, RECTANGULAR SHAPE).